“If we can’t visualise it in our minds” I thought, “why not make it for real?” So that’s what I did….. I made the design on a small 4” dummy tier (no yummy cake to eat at this point! ), and you can see the result in the picture above. I think it looks fab and although lilac isn’t my colour (I’m definitely more of a pinky girl!) 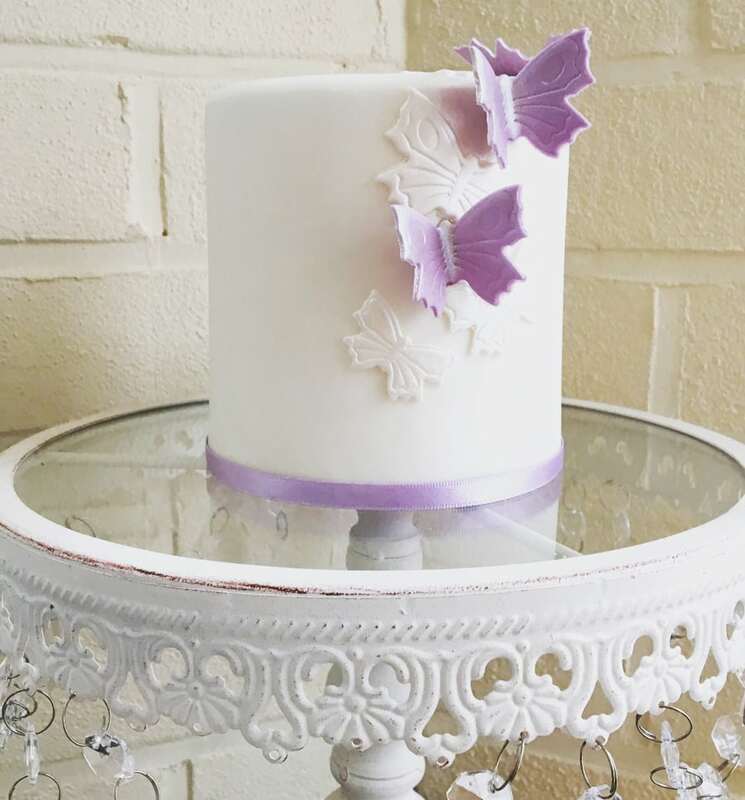 I was really pleased with how it turned out; lilac “3D” sugar butterflies, with pearl lustred butterflies lying flat against the cake as if forming shadows and finished off with a matching satin lilac ribbon trim.